The Pink Star Desk & Chair offers kids somewhere superb to play, read and doodle. The desk of the Pink Star Desk & Chair consists of a sturdy surface, finished in a blackboard style of black, and an extra shelf below to accommodate the likes of books and crayons. The blackboard section serves as an excellent space to doodle on too, making the Pink Star Desk & Chair as practical as they are eye-catching. The Pink Star Desk & Chair is finished with an array of stars, as well as being clad in a colour scheme of pink and white. 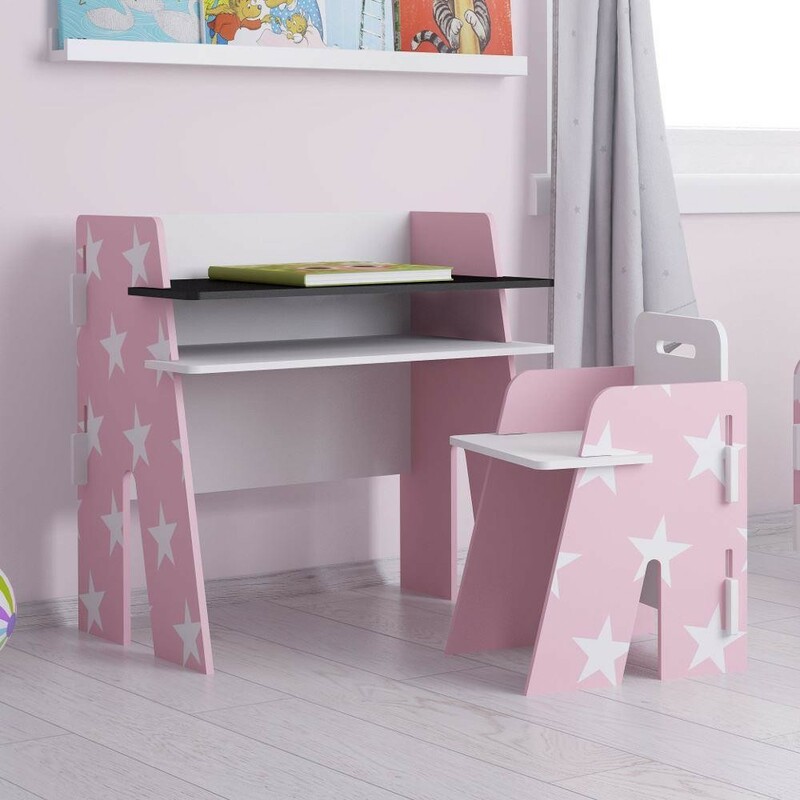 This charming sense of aesthetics means that the Pink Star Desk & Chair lends itself well to virtually any style of decor, making it perfect for those children's bedrooms transitioning from being a nursery. This is especially true when the Pink Star Desk & Chair is partnered with the Pink Star Junior Toddler Bed and Pink Star Table & Chairs. Sturdy and secure, the Pink Star Desk & Chair are both durable, being made from exceptional materials and adhering to an innovative design. Much like a jigsaw, the Pink Star Desk & Chair only needs to be slotted together piece by piece, making it incredibly easy to assemble . The product is part of the Star Pink and White Children's Bedroom Furniture Collection.